James G. “Jim” Kouloheras, 80, of Dracut, died Wednesday, October 24, 2018 at Northwood Rehabilitation and Healthcare Center in Lowell. He was the beloved husband of Janice A. (Lefebvre) Kouloheras who survives him and with whom he celebrated their 57th wedding anniversary in April of this year. Born in Lowell, Massachusetts, October 18, 1938, a son of the late George D. and the late Stella (Athanas) Kouloheras, he attended Lowell schools and was a graduate of Lowell High School with the Class of 1956. He also attended the University of Maine at Orono. Jim proudly served his country as a member of the U. S. Army Reserves and the National Guard. Before retiring, Jim was employed as a Materials Manager at Wang Laboratories in Tewksbury. Previously, he worked for General Electric in Lynn and Medford. Among his many interests, he enjoyed hunting and fishing, was a Certified Licensed Sea Captain, and enjoyed summers spent at Camp Ellis Beach in Saco Maine with his family and friends. He was a member of the Kilwinning AF and AM Masonic Lodge in Lowell for over 50 years as well a Scoutmaster for Boy Scout Troop #80 in Dracut. 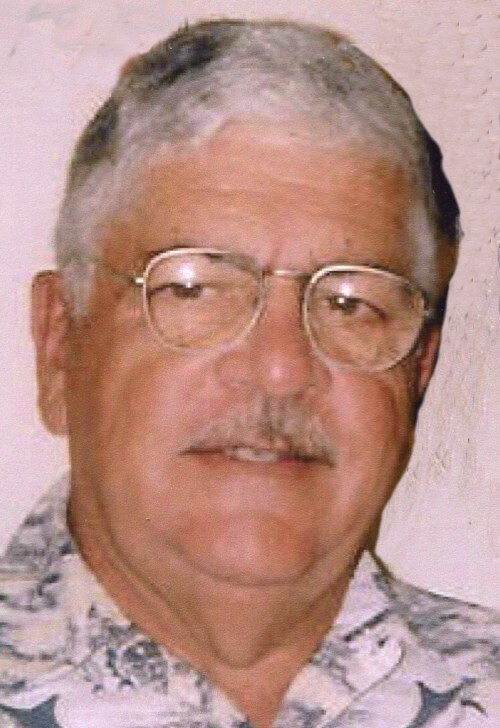 In addition to his wife Janice, Jim is survived by two sons George Kouloheras of Lowell, MA and Michael J. Kouloheras and his wife Melinda of Amesbury, MA; a grandson Jonah Santiago of Amesbury, MA; two sisters Daphne Zaralidis and her husband John of Lowell, MA and Elizabeth Kouloheras and her partner Arlene Hinckley of Barnstable, MA; two brothers William Kouloheras and his wife Dede of Cape Coral, FL and Harry Kouloheras and his wife Joy of Tyngsboro, MA; and many nieces and nephews. Friends may call at the O’DONNELL FUNERAL HOME 276 PAWTUCKET ST. at Fletcher from 4 to 8 P.M. Monday. Relatives and friends are invited to attend his Funeral Service to be celebrated Tuesday morning at the HELLENIC ORTHODOX CHURCH OF THE HOLY TRINITY in LOWELL at 10 A.M. followed by his burial at St. Mary’s Cemetery in Tewksbury. E-condolences/directions at www.odonnellfuneralhome.com . Those wishing may make contributions in his memory to American Cancer Society, 30 Speen St, Framingham, MA 01701 or the George D. and Stella A. Kouloheras Memorial Scholarship Fund c/o Greater Lowell Community Foundation, 100 Merrimack St., Suite 202, Lowell, MA, 01852. Arrangements by Funeral Director James F. O’Donnell, Jr. (978) 458-8768. Thinking of all the great times we had together at Camp Ellis...Jim, you will be missed... May your soul rest in peace in the Hands of The Lord. God Bless.